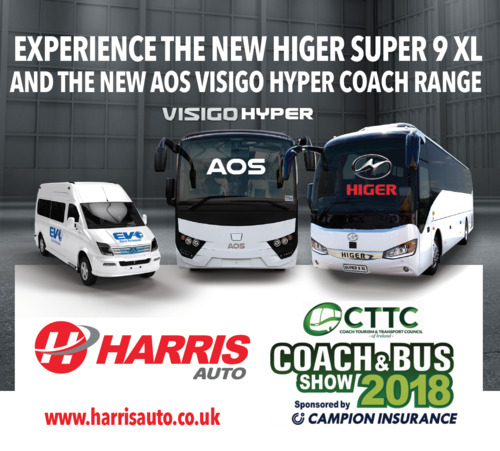 Home Breaking News CTTC Coach & Bus Show 2018 – Bigger, Busier and Better! 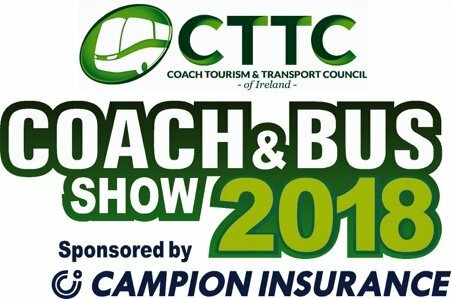 A bigger and better event is on offer to visitors at the forthcoming Coach Tourism & Transport Council (CTTC) Coach & Bus Show 2018. Sponsored by Campion Insurance, the biennial exhibition is a multi-faceted event, showcasing the latest technology in vehicles and services, the staging of the Irish Coach Driver of the Year Competition and is a platform for a series of seminars on topical and current issues pertaining to today’s bus and coach industry. The highlight of the social aspect to the whole occasion is the Gala Dinner held on the Saturday night at the Ballsbridge Hotel. 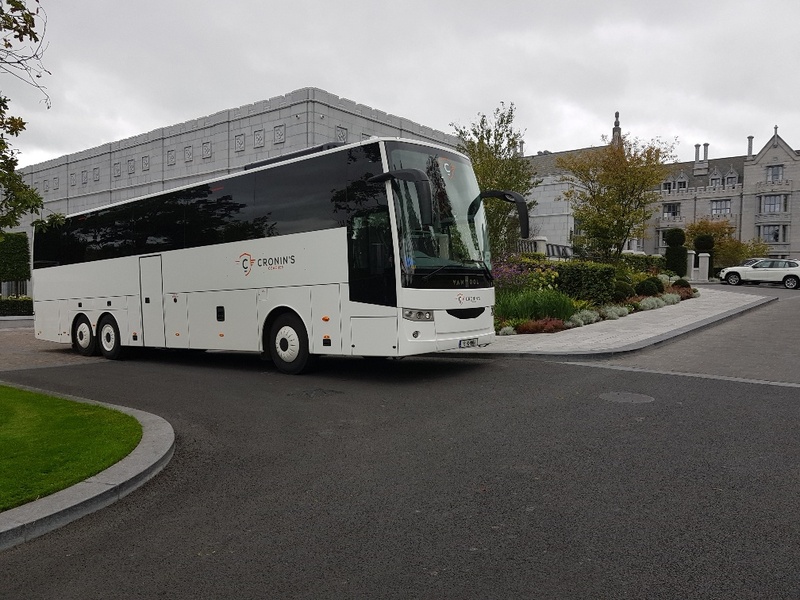 Among the debutants includes the European Premiere of the new AOS coach brand to be launched by the Harris Group which has acquired exclusive distribution rights with producer Anadolu Isuzu in Turkey to supply the Irish & UK markets. 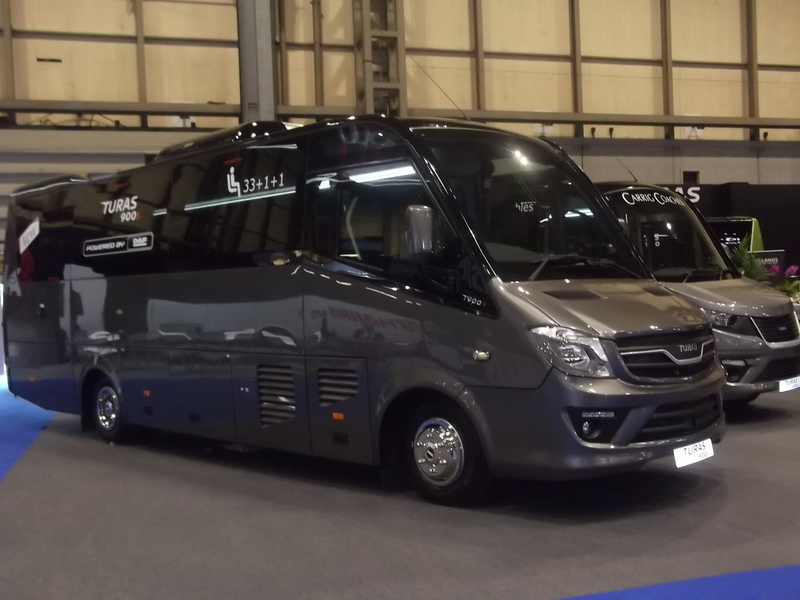 On display will be the 9m/37 seat Visigo midi-coach, which can be fitted with toilet and is wheelchair accessible. It is powered by Cummins mated to a ZF EcoLife autobox.